Soon late actress Sridevi's daughter Janhvi Kapoor is going to make her Bollywood debut through Karan Johar's film Dhadak and many posters of the film have come out till now. Shahid Kapoor's younger brother Ishaan Khattar is also starring in this film. Since the news of Janhvi's debut has come out the media has its eye on Janhvi and every day her picture stories come out. Recently some pictures of Janhvi Kapoor came out and for that, a media portal made some news. 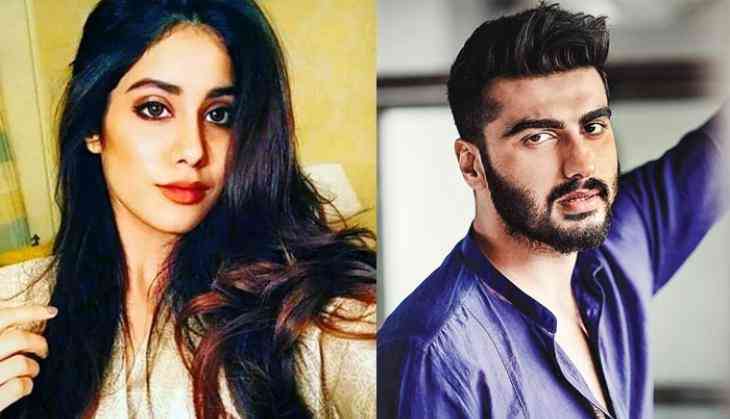 After this news, Janhvi Kapoor's elder and step-brother Arjun Kapoor came out in her saviour and got angry on the portal. Arjun Kapoor while sharing this news did a tweet and abused the media platform. Arjun Kapoor tweeted, "U know what F*** u man f*** u as a website for highlighting or bringing it to anyone s attention...and it’s shameful that ur eye would go searching for something like this shame on u...this is how our country looks at young women yet another shining example...ashamed by this"
However, it was in the support of his sister but it looks like some people didn't like this reaction of Arjun Kapoor and started trolling him back again. Most the users said that he had done the same in AIB Roast so why now he is getting over these pictures. Some users said that it is Karma that strikes back.